SETTING THE STANDARD FOR PROFESSIONAL PERFORMANCE IN THE SOUTHWEST. We offer many types of shows! 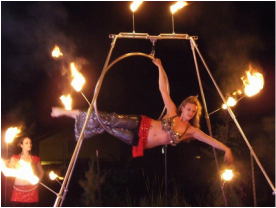 Fire, Bellydance, Aerial, Circus, or mix and match. We also have a huge list of ambient / strolling entertainment to choose from. Lessons are regularly held at the Circus Farm in Mesa, and at Core Crossfit in downtown Phoenix! Check the schedule for up coming classes. 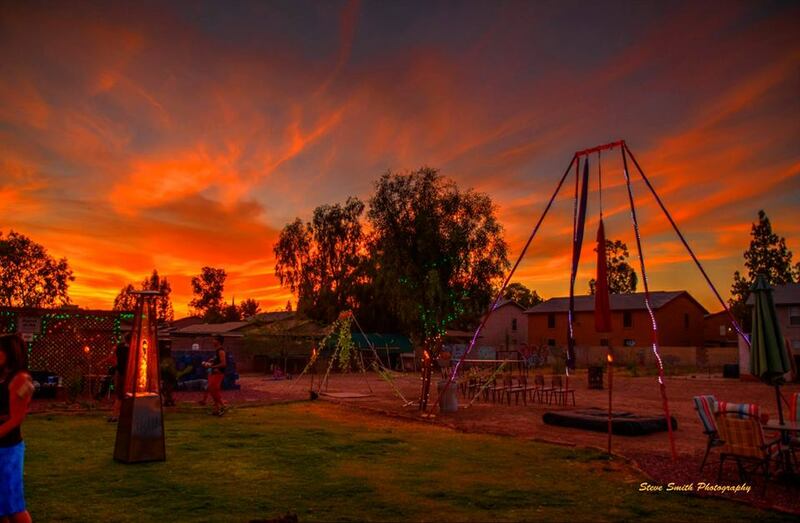 The Circus Farm is located in Mesa and holds many community events!